'Dr. Trey notes that music has lost its way since the nineteenth century. It has changed from earlier eras—the Renaissance, Baroque, Classical, and Romantic epochs (1600-1900)—to trends starting in early 1900's. These earlier eras spanning 300 years represent the pinnacle of classical music in the West and are based on higher principles and values. 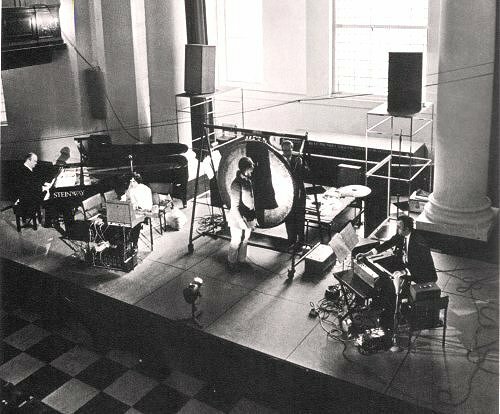 Composers such as Stravinsky, Schoenberg, and Stockhausen composed music from a listener's perspective as if experimenting with noise. When this chaotic music appeared, atomic bombs, communism and cold war also surfaced. He believes this chaotic music in no small way contributes to the chaos in modern times. Destructive political movements, such as communism, thrived by killing people in its own society. - from an Epoch Times interview with Dr. Torsten Trey, German medical practioner and oboeist with the New York based Divine Arts Performing Orchestra. Now read about music, acid and the collapse of communism. When this chaotic music appeared, atomic bombs, communism and cold war also surfaced. He believes this chaotic music in no small way contributes to the chaos in modern times. Remarkable - the Communist Manifesto (1848) was (apparently) influenced by Romantic Music, which was based on "higher principles and values." I guess that the chaotic music of the twentieth century just perverted the whole thing. I only wish orchestral music and opera had as much power as that he thinks it does, the power to topple governments and entire political ideologies. Blah blah blah civilization collapsed when tonality did blah blah blah. How freakin' boring a premise that is. He's a Falun Gong advocate, so he's not exactly playing with a full deck. Henry Holland is correct. The "Epoch Times" is published by the Falun Gong cult, a group that is currently being persecuted in China. They certainly are strange, however. It's amazing what you learn On An Overgrown Path. Google - 'Falun Gong divine performing arts orchestra'.